Le Cordon Bleu are further developing their range of kitchen tools with the addition of the Microplane Zester-Grater, rated the best in the world and recommended by both professional and cooking enthusiasts alike. Its razor-sharp stainless steel blade is ideal for zesting citrus fruit and grating ginger, chocolate and parmesan. 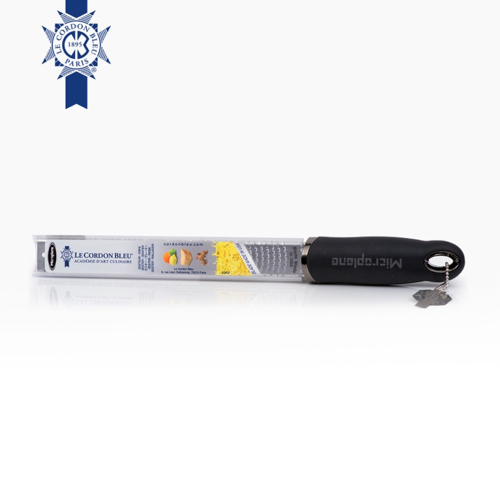 The ergonomic handle and non-slip base facilitates handling and use. The zester is dishwasher safe and comes with a protective case. Our classic, multi-purpose tea towel is one of our best sellers. 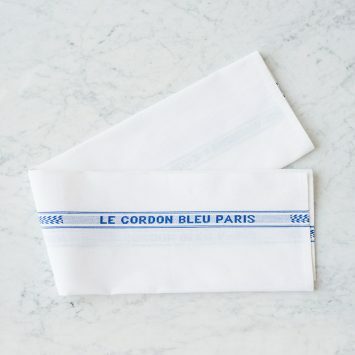 It's sturdy, 100% woven cotton and is the epitome of Le Cordon Bleu understated elegance and sophistication. Le Cordon Bleu Paris appears in blue along the length of the towel. 21"L 32"W. Combine it with our apron, chef hat and a Le Cordon Bleu cookbook such as Le Cordon Bleu at Home for a gift to the chef. 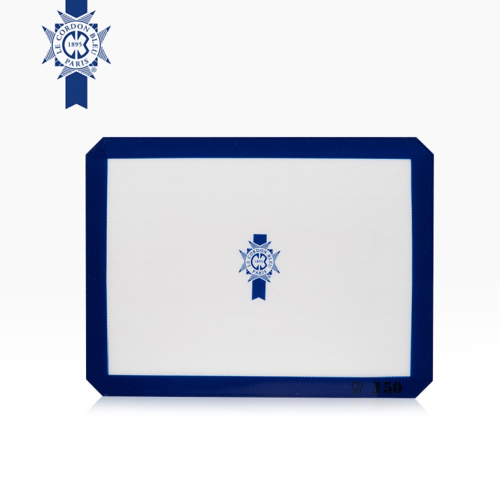 The Le Cordon Bleu baking mat is flexible and non-stick. 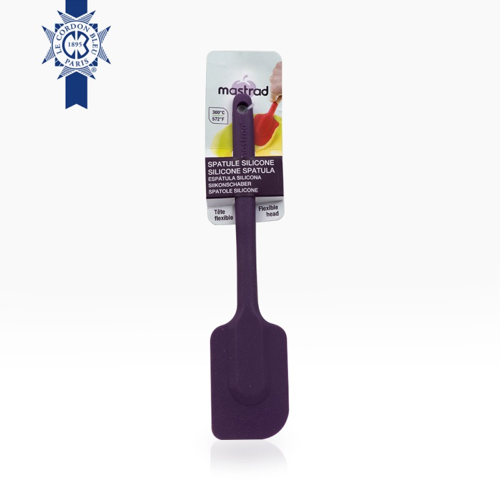 Made of fiberglass and food grade silicone, it is perfect for cooking macaroons, pastries, tart bases and for sugar work. Size: 400 x 300 mm. 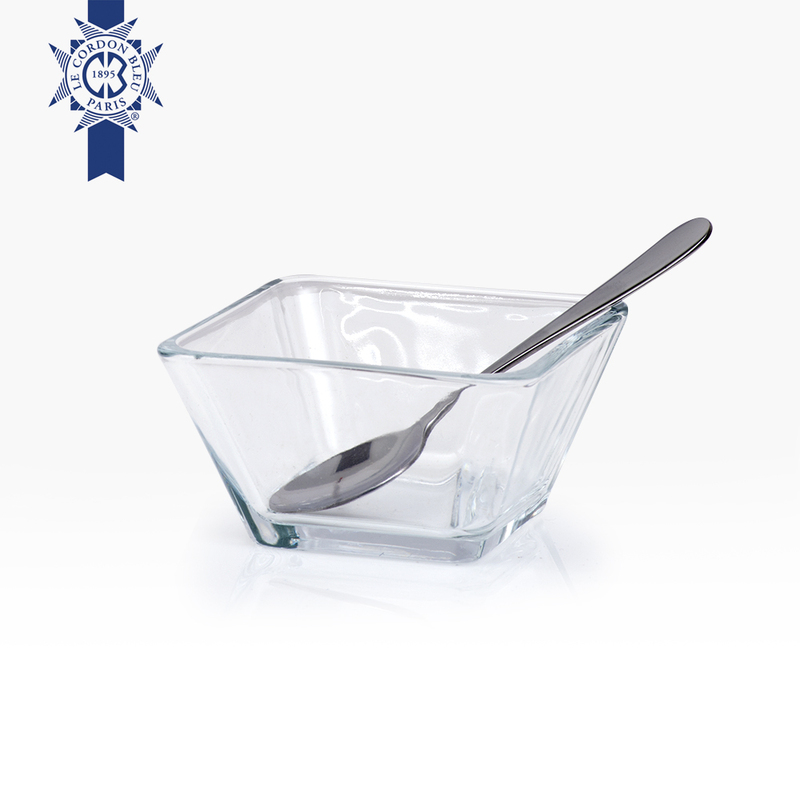 Bowl with spoon Next time you serve your Le Cordon Bleu preserves and cremes, why not use our beautifully designed glass cut serving bowl and spoon. It’s lightweight and dishwasher safe. It provides the perfect complement to any dining table.